We went to Xian, China in June 2013. 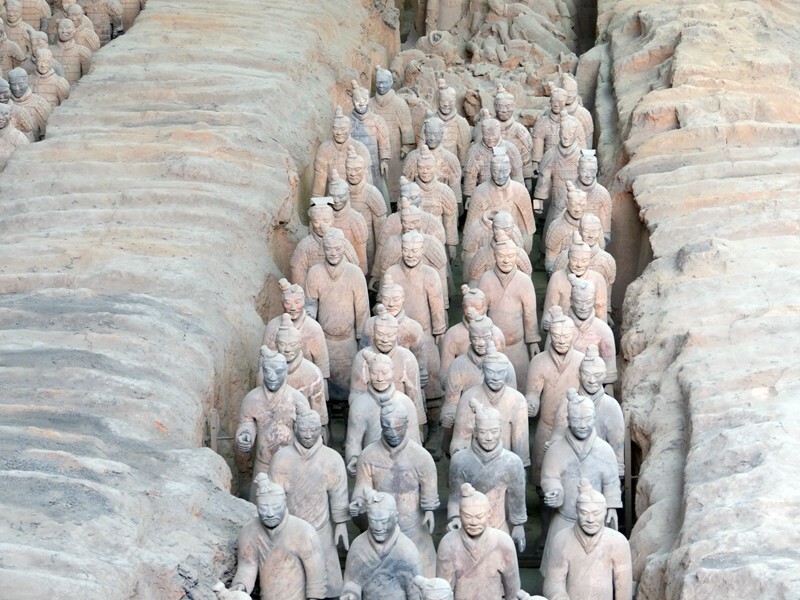 It's about an hour and 15 minute flight from Beijing. 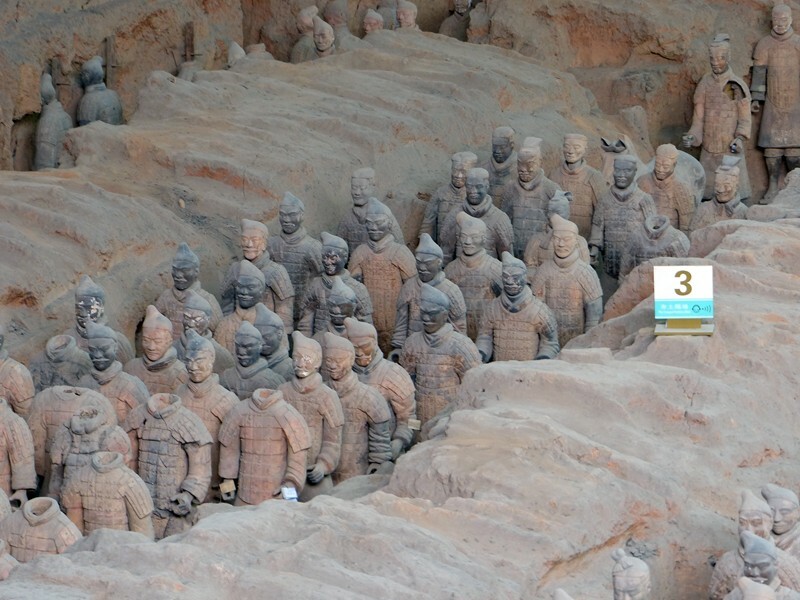 It was hot, mid 90s, but felt dry, so it wasn't too bad. 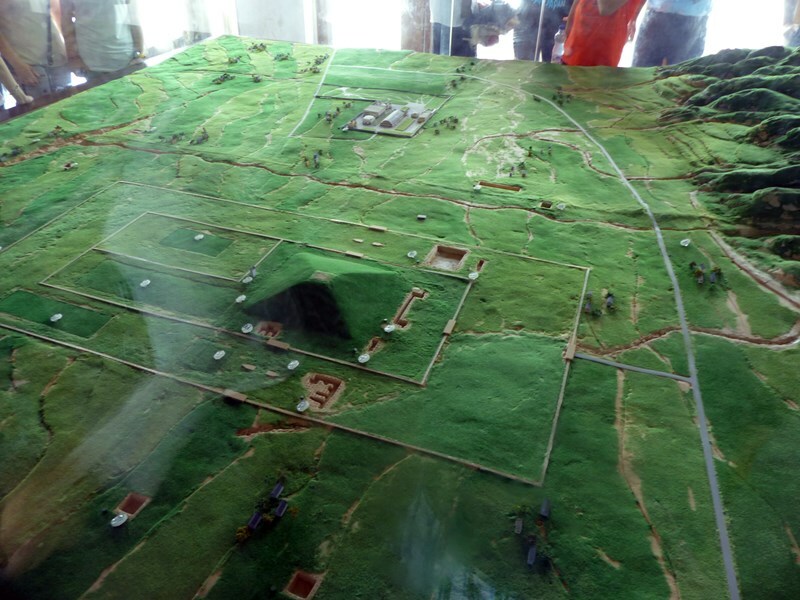 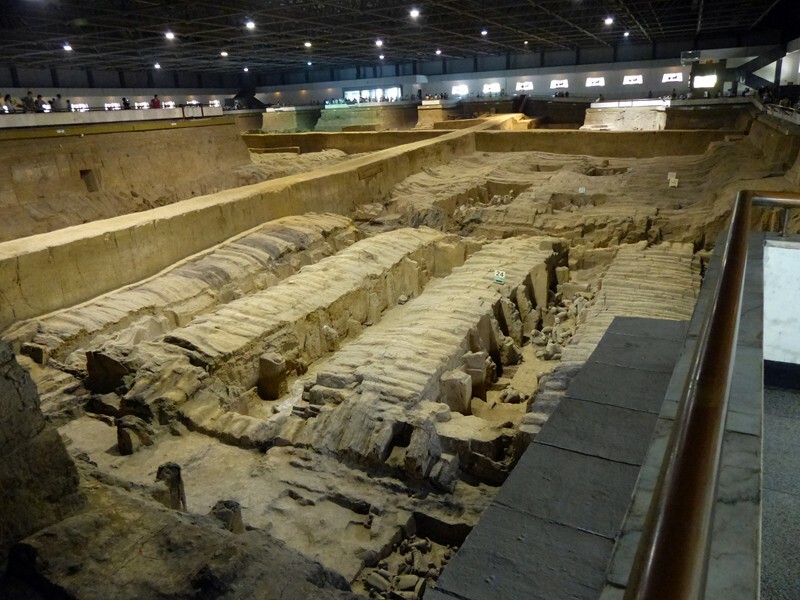 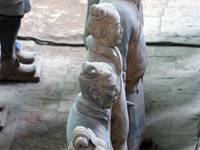 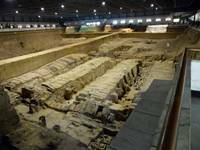 Xian is one of the oldest cities in China and has a lot of history. 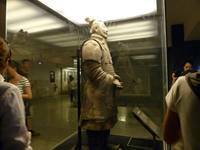 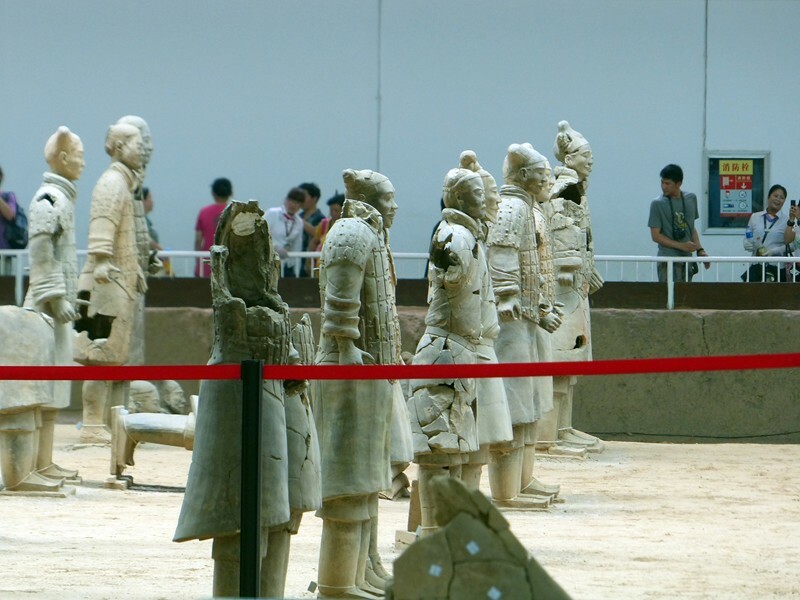 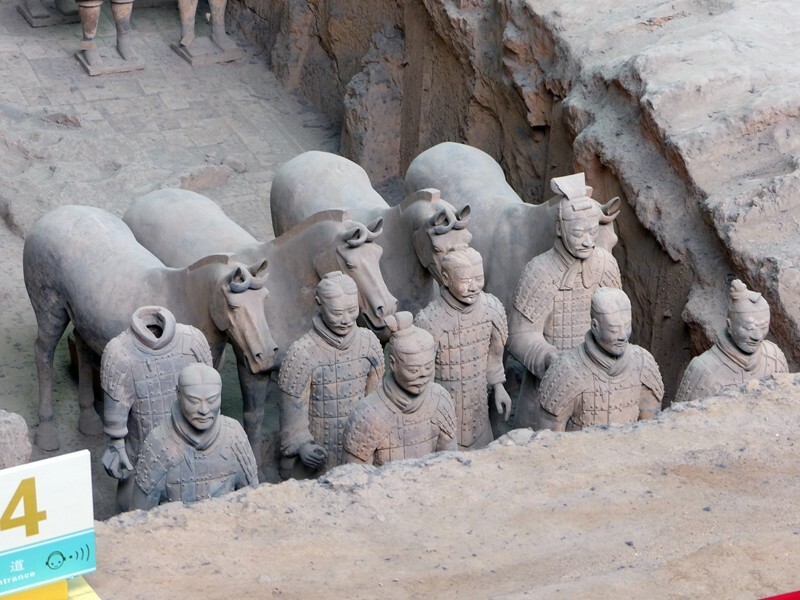 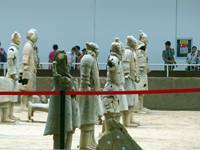 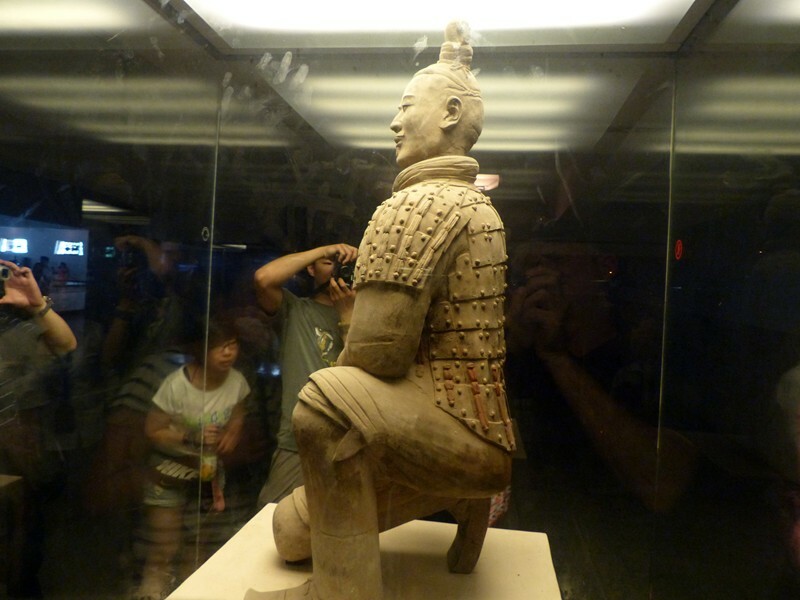 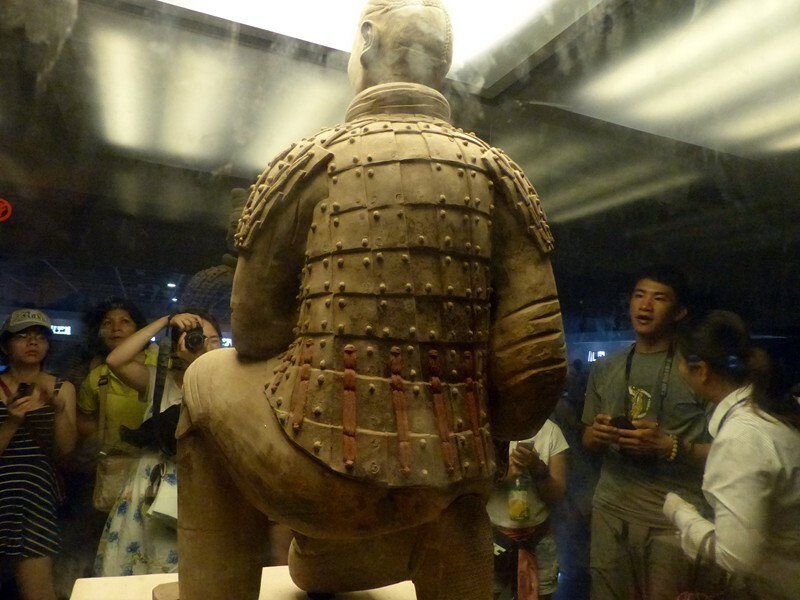 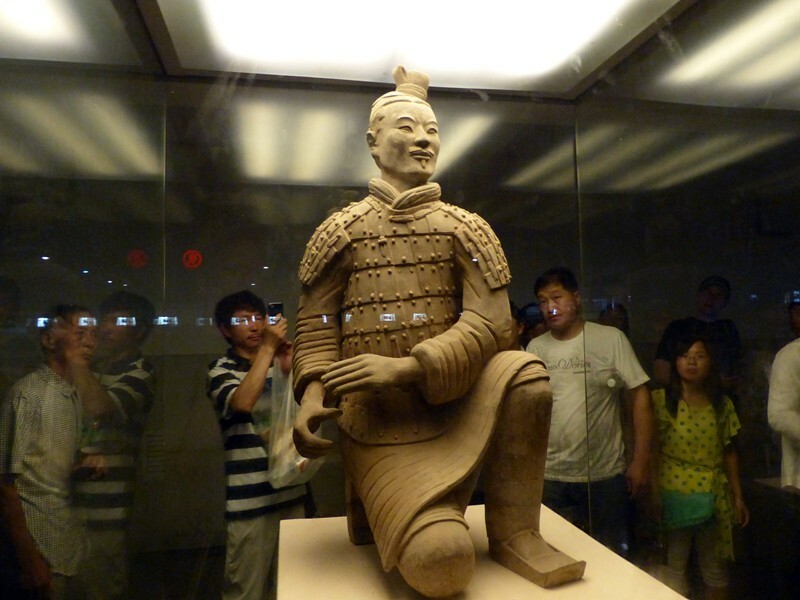 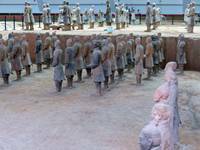 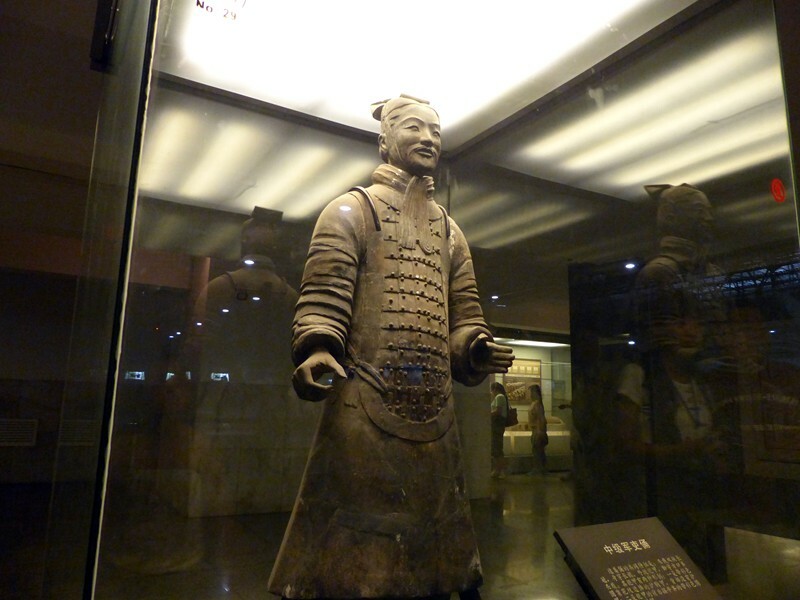 We went to see the terracotta warriors as a day trip. 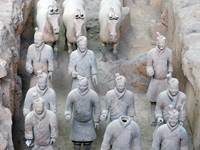 Planning to fly out in the morning and fly back in the evening. 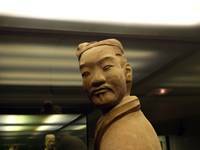 We hired a driver to pick us up from the airport and drive us to the various locations. 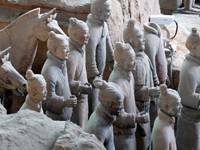 Once we arrived at the location of the warriors (about an hour drive from airport), there are several English speaking guides available for hire. I highly suggest doing so. I want to say the guide was around $40. There are 3 pits they have made available to the public. 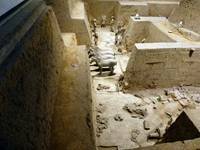 There first pit is the largest. 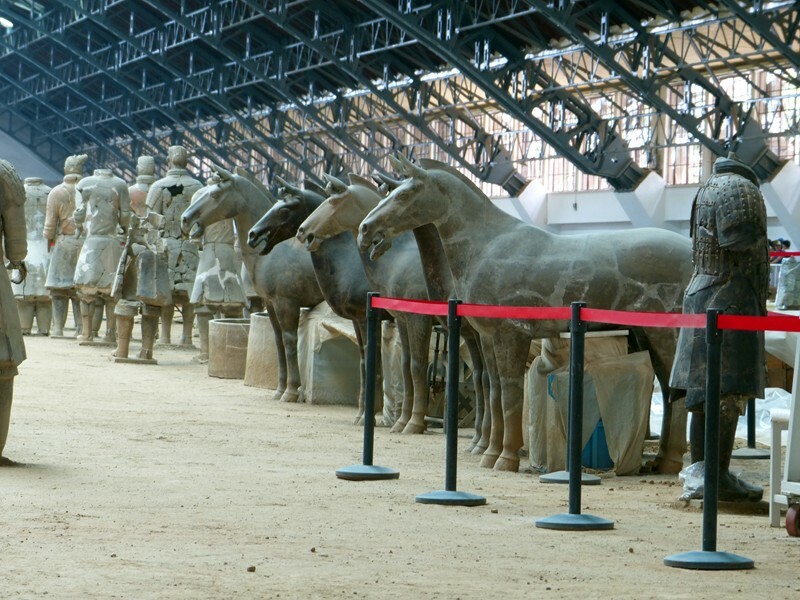 Every single soldier, officer and horse are unique. 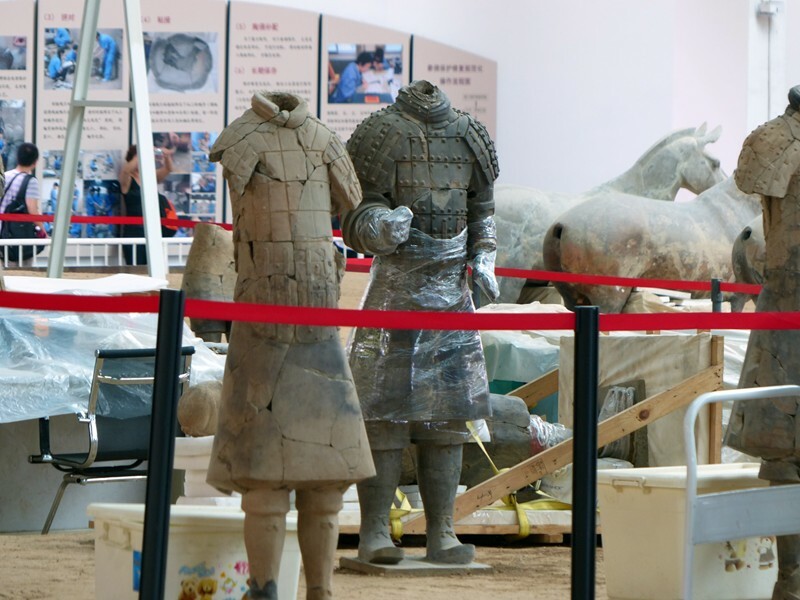 There are still in the process of re-assembling the pieces of the broken ones. 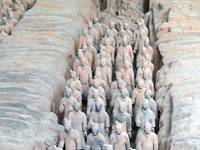 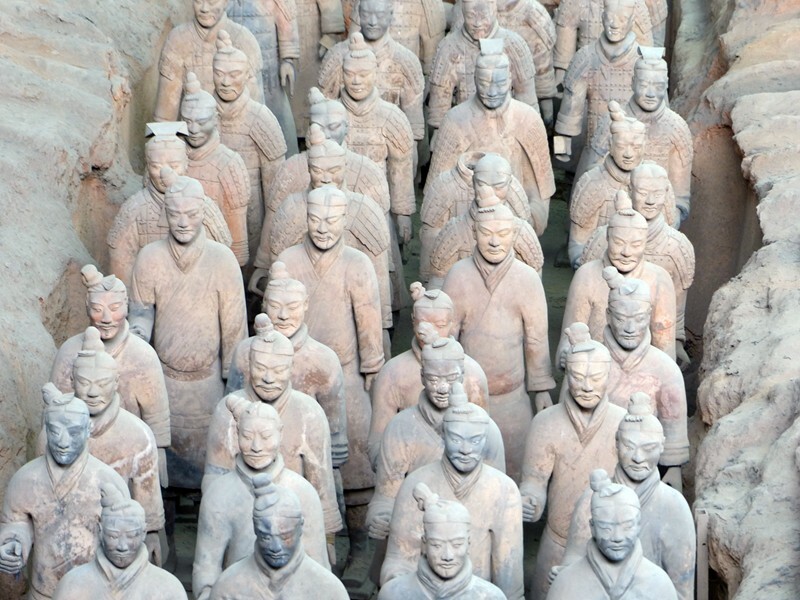 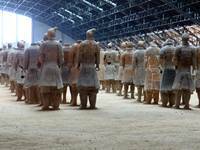 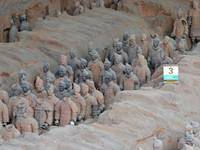 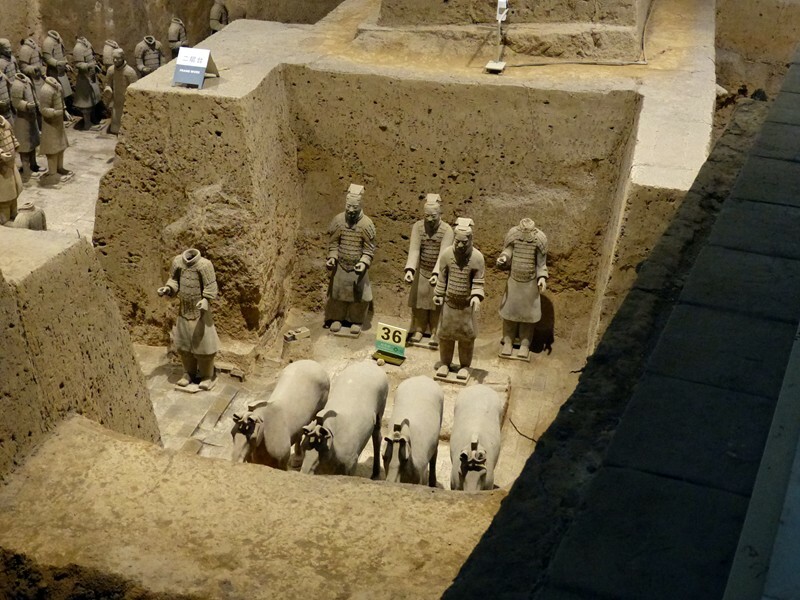 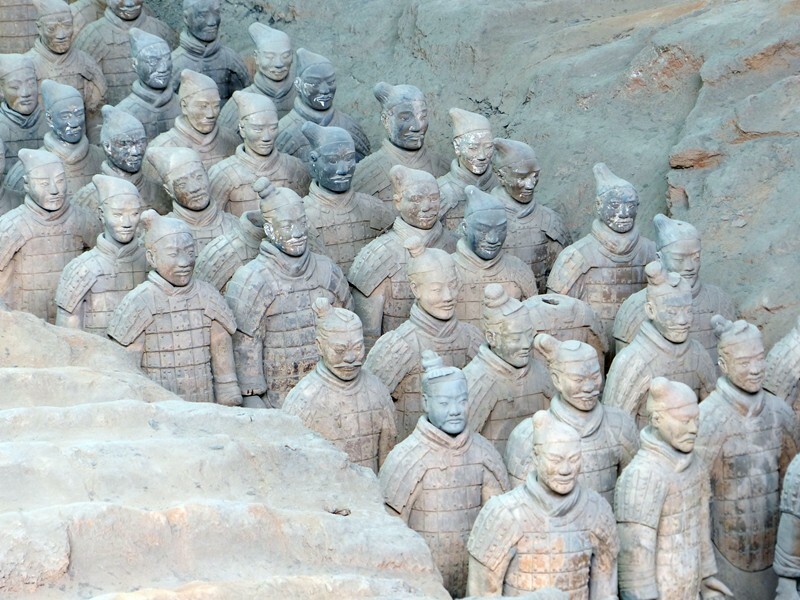 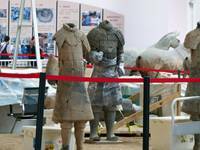 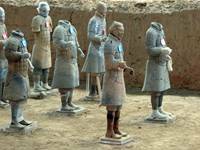 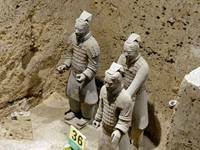 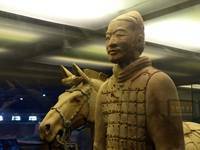 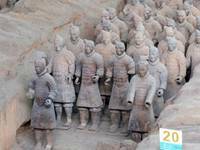 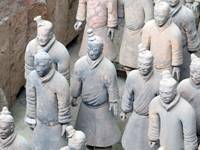 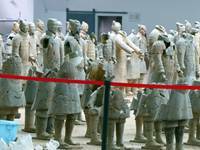 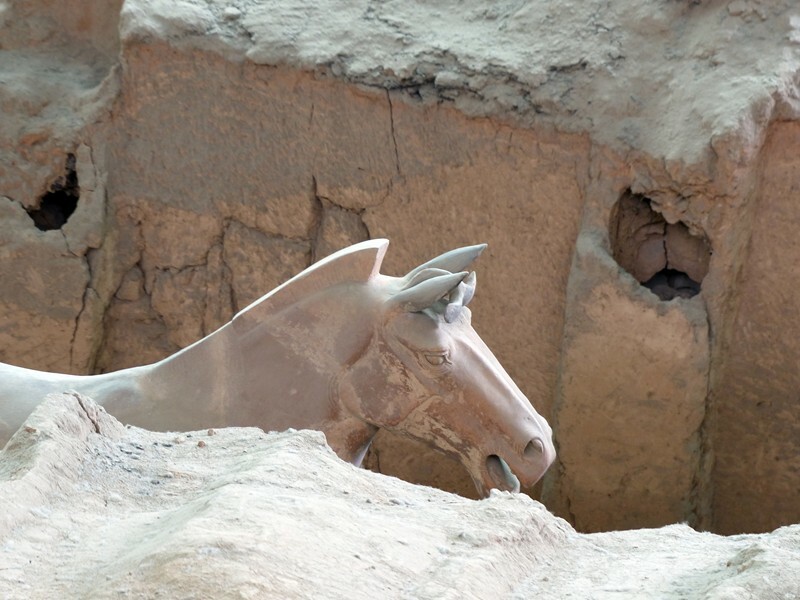 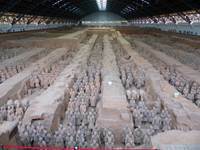 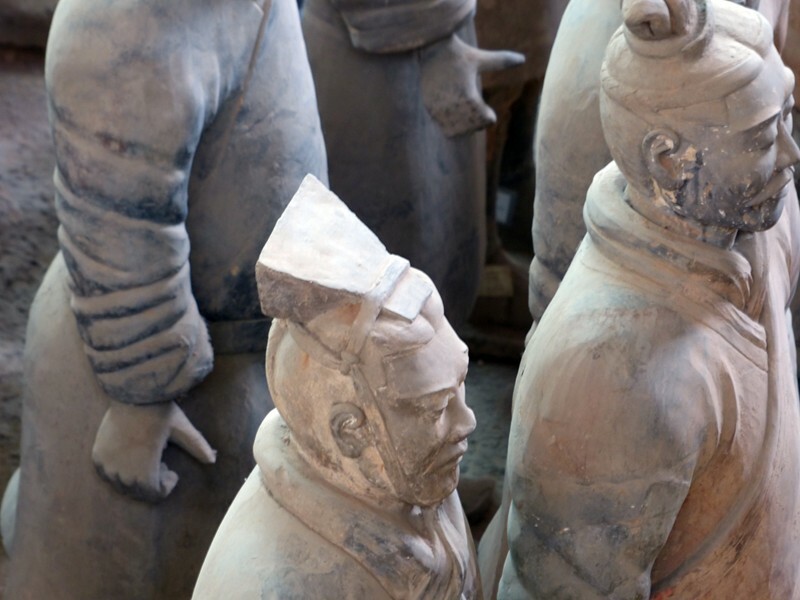 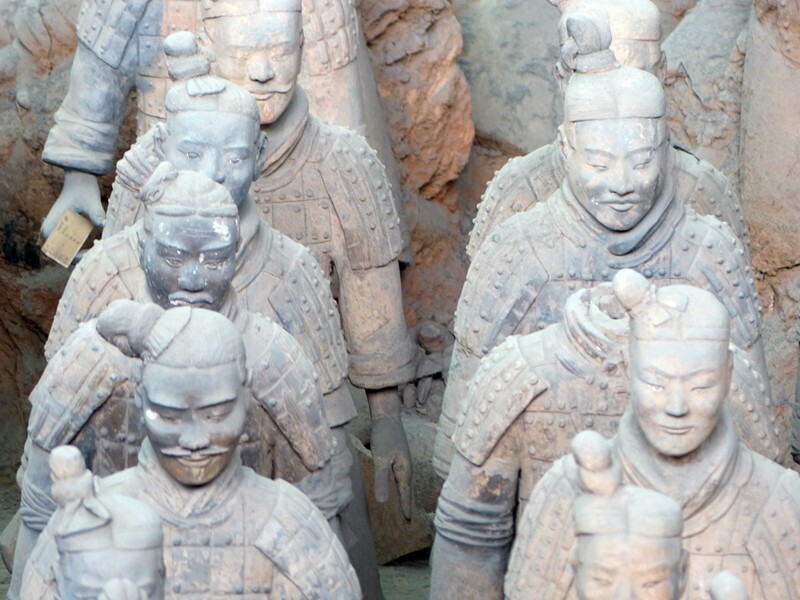 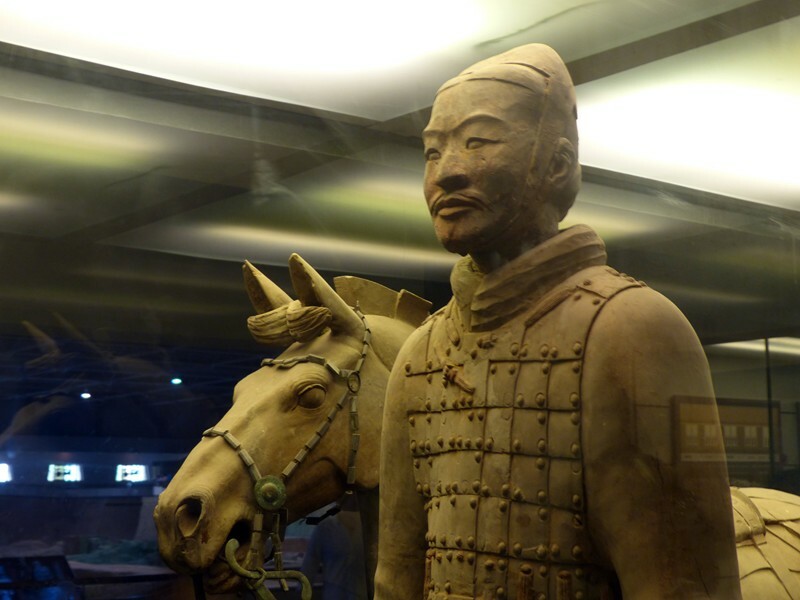 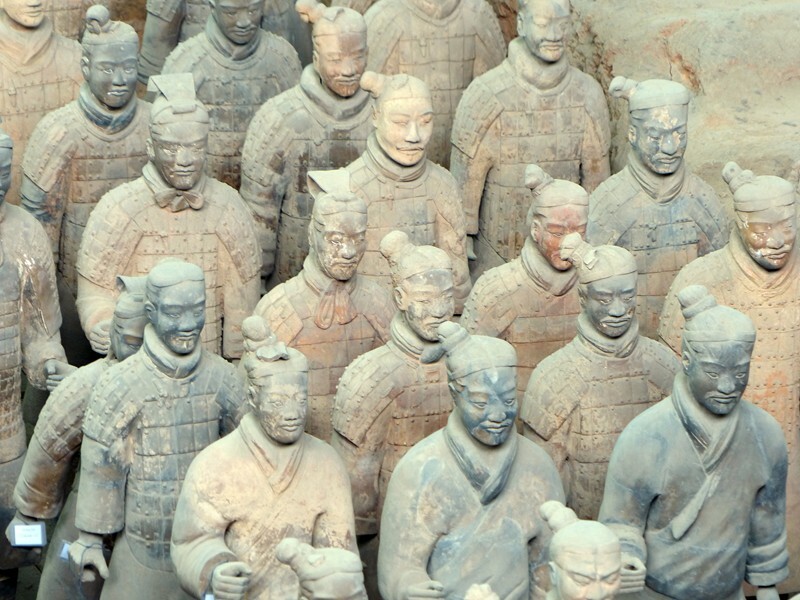 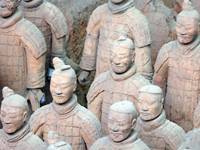 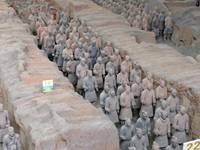 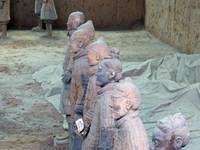 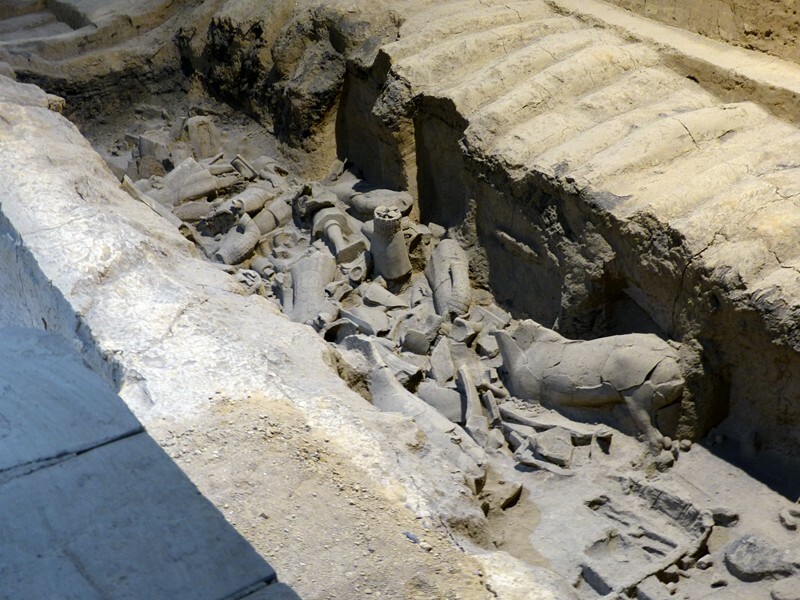 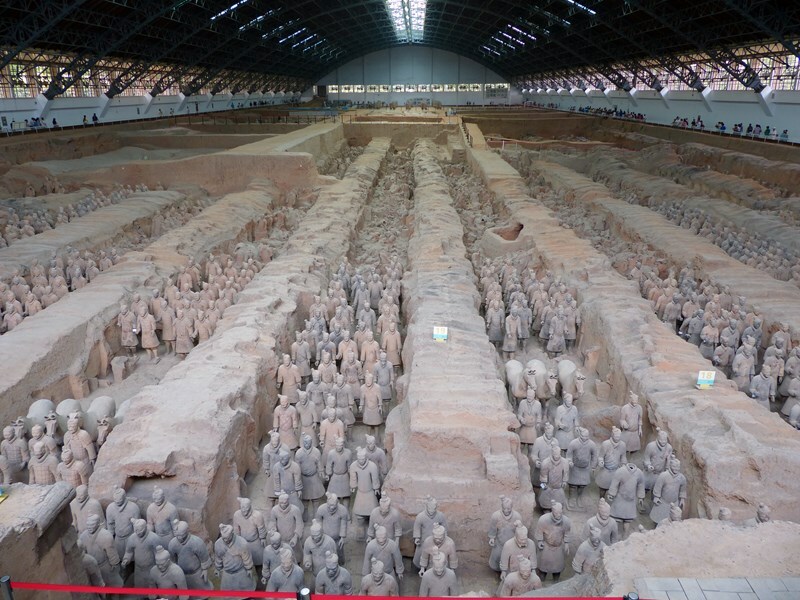 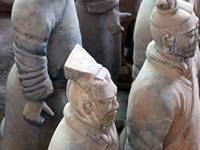 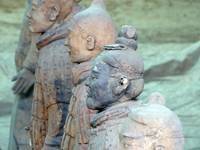 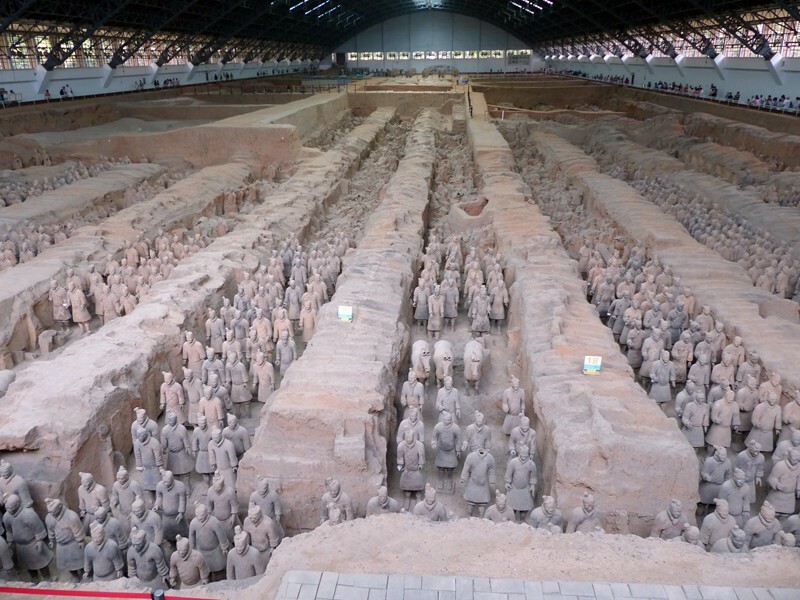 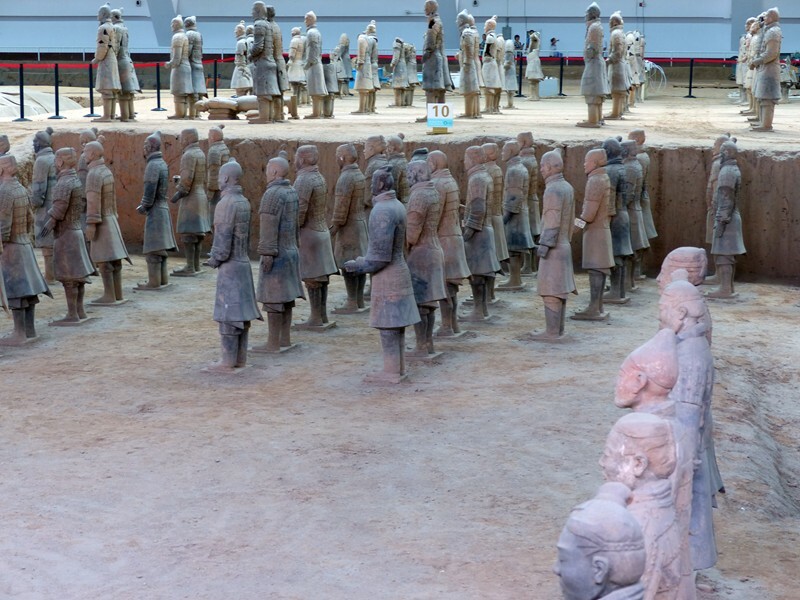 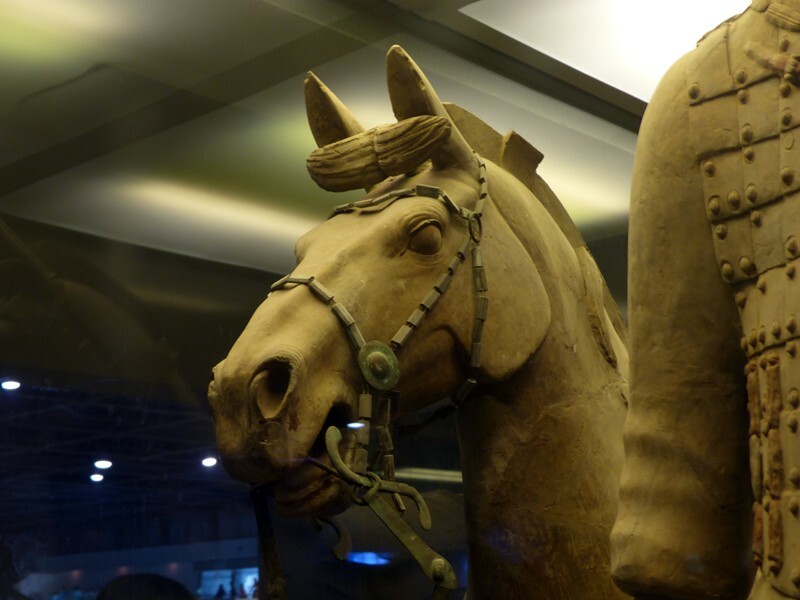 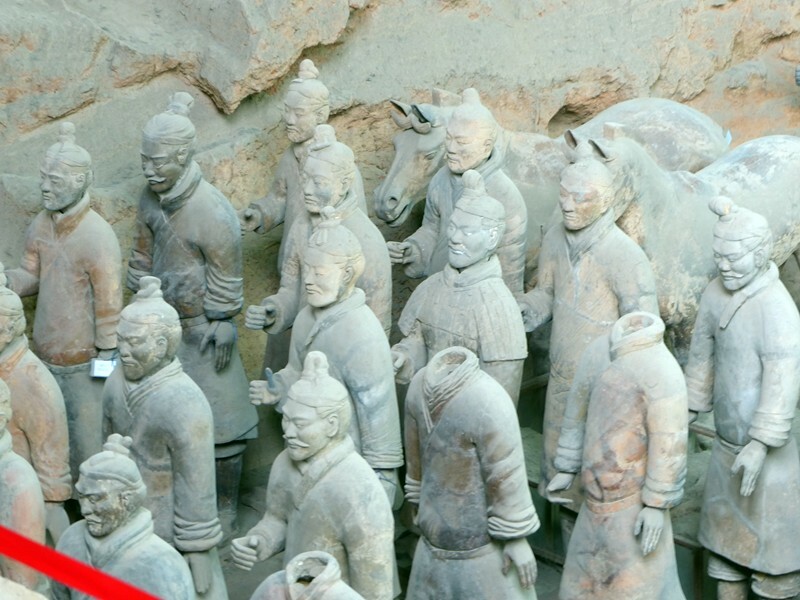 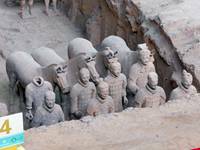 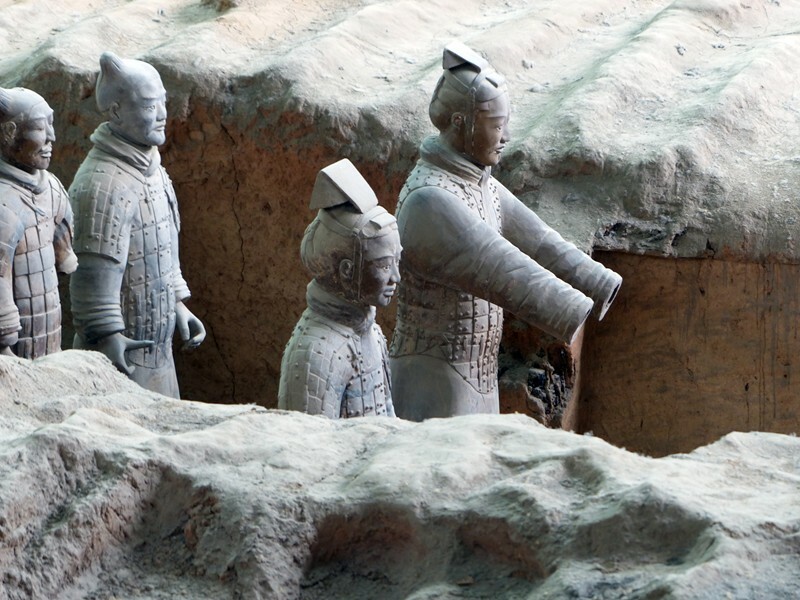 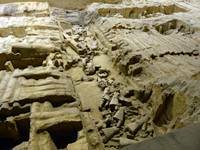 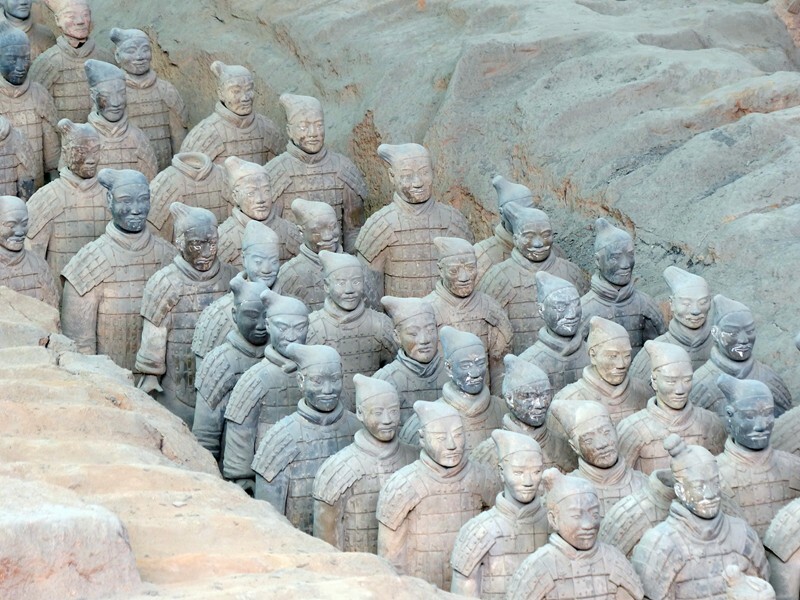 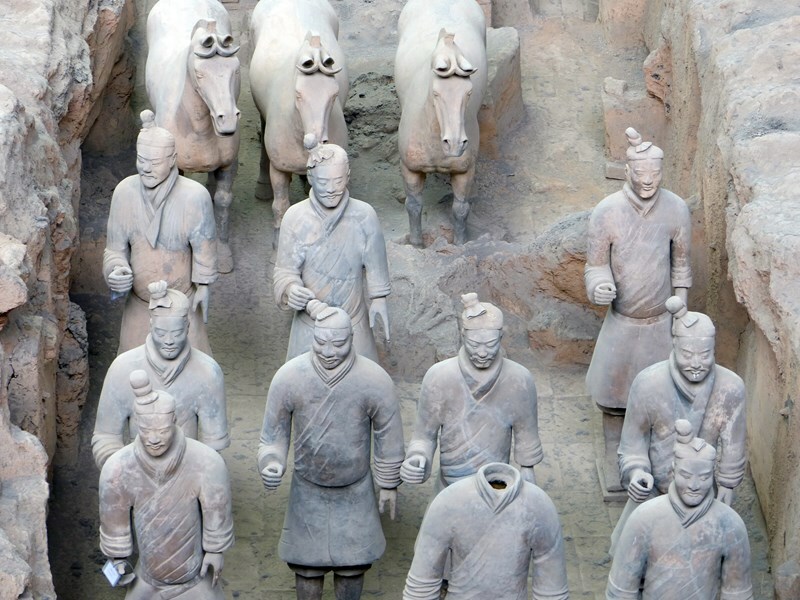 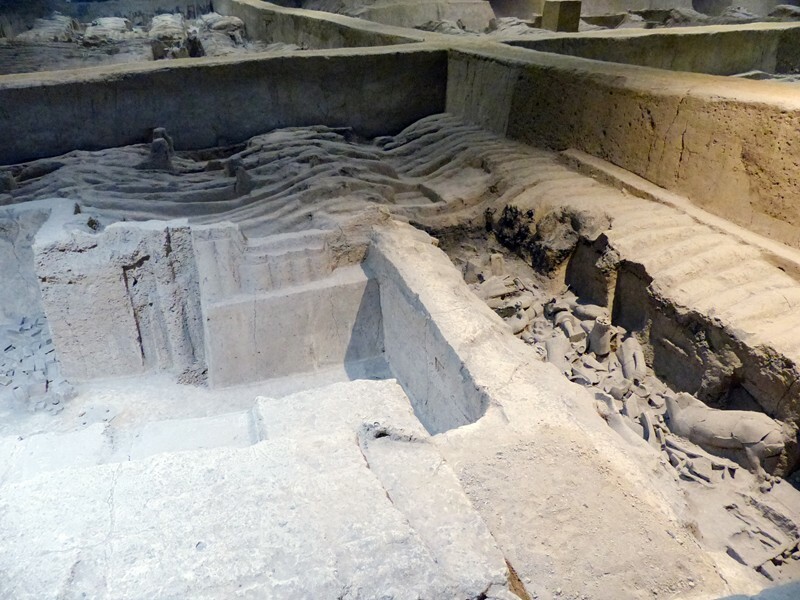 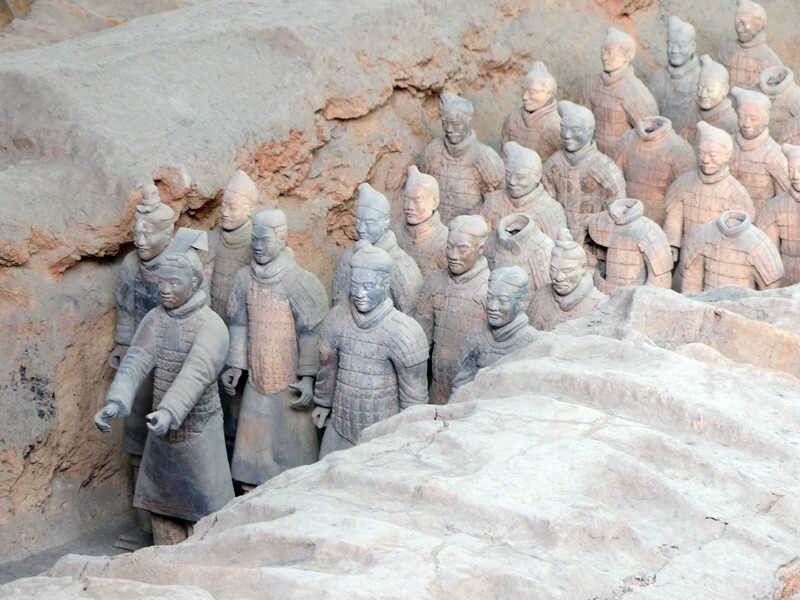 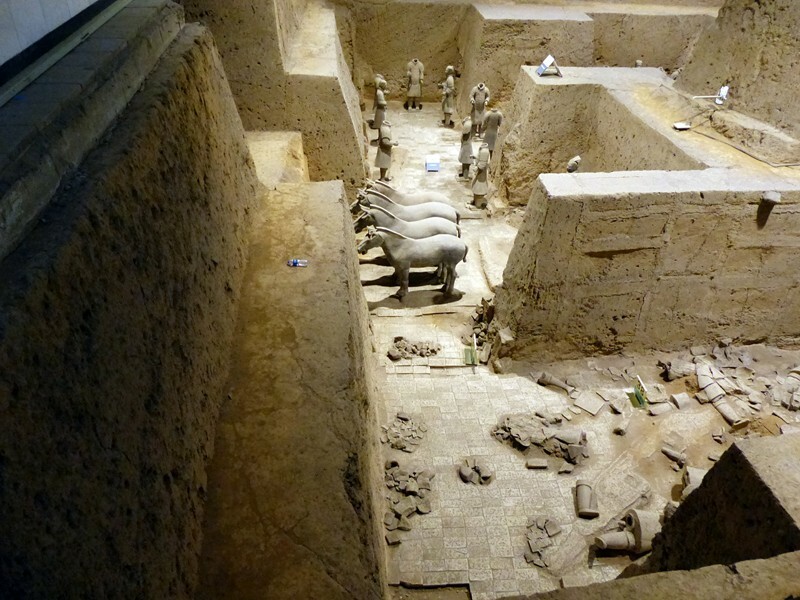 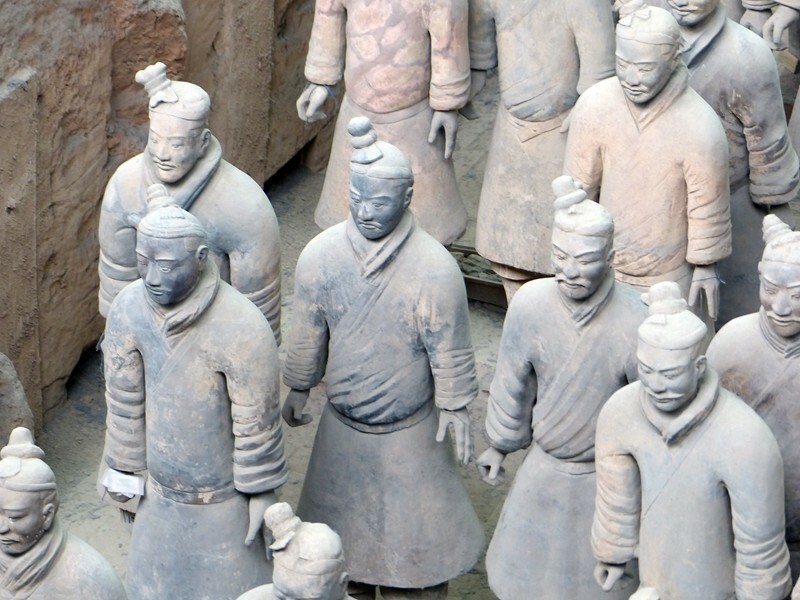 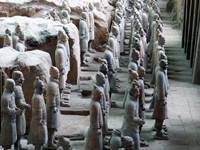 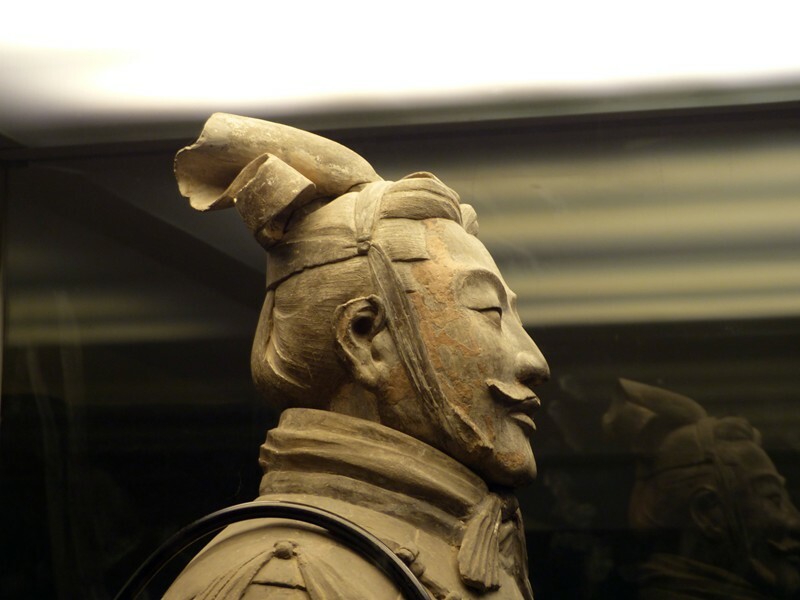 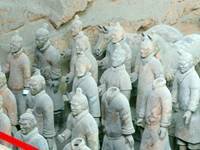 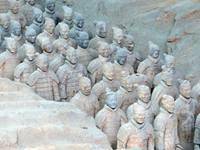 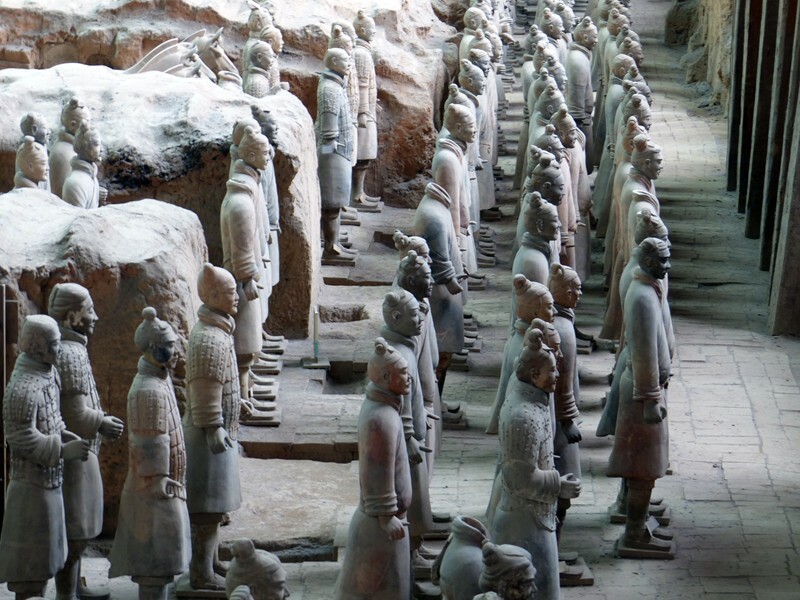 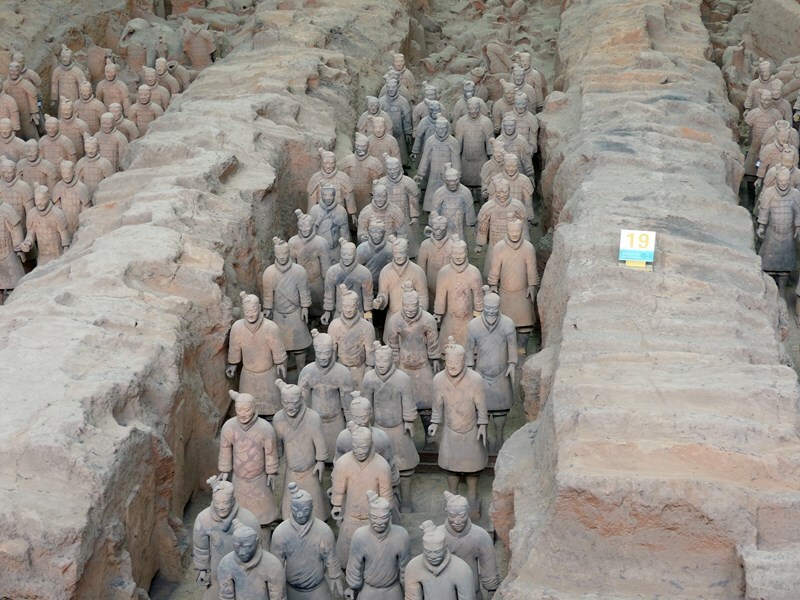 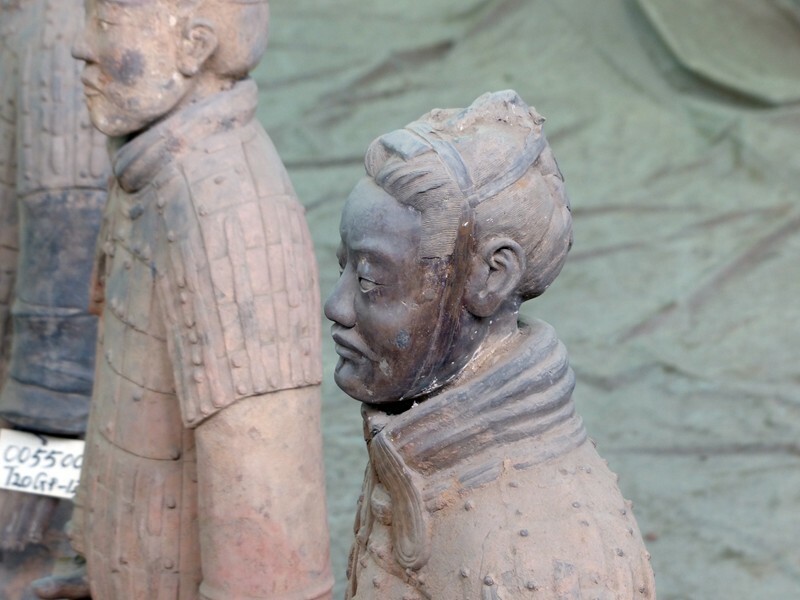 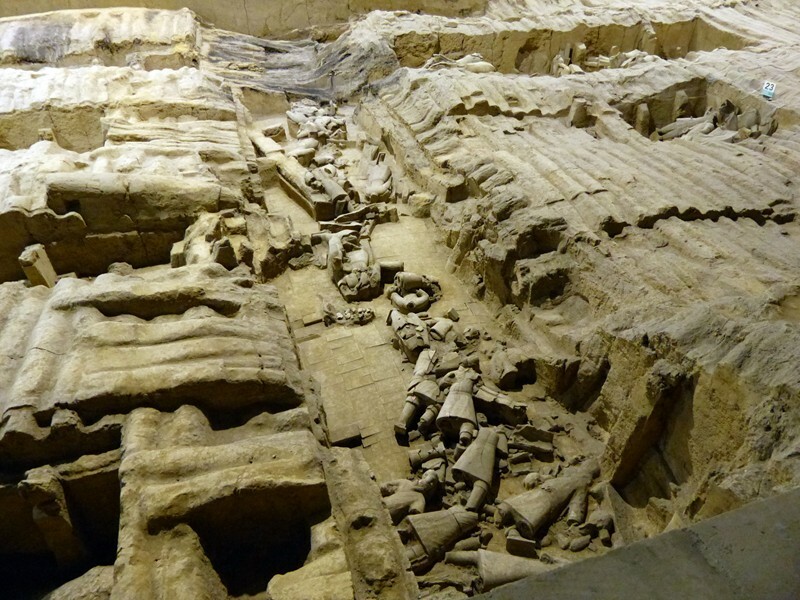 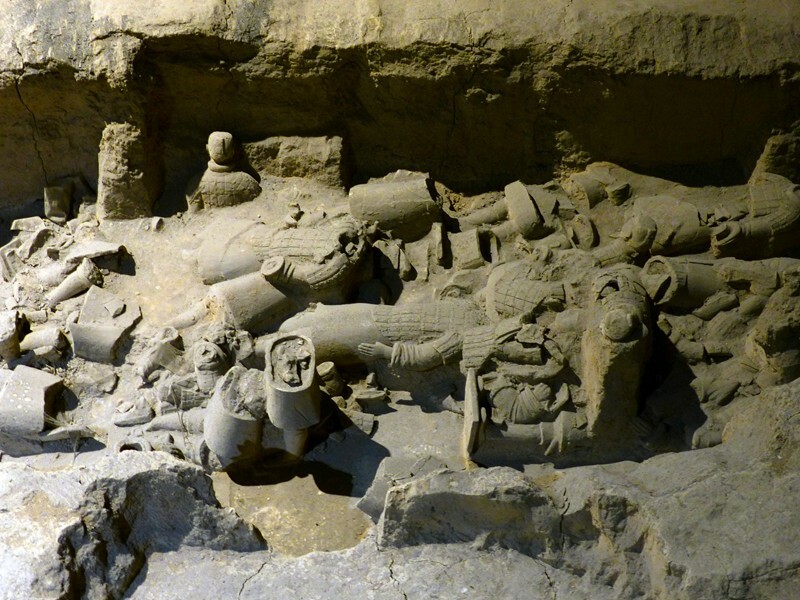 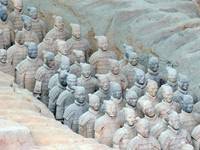 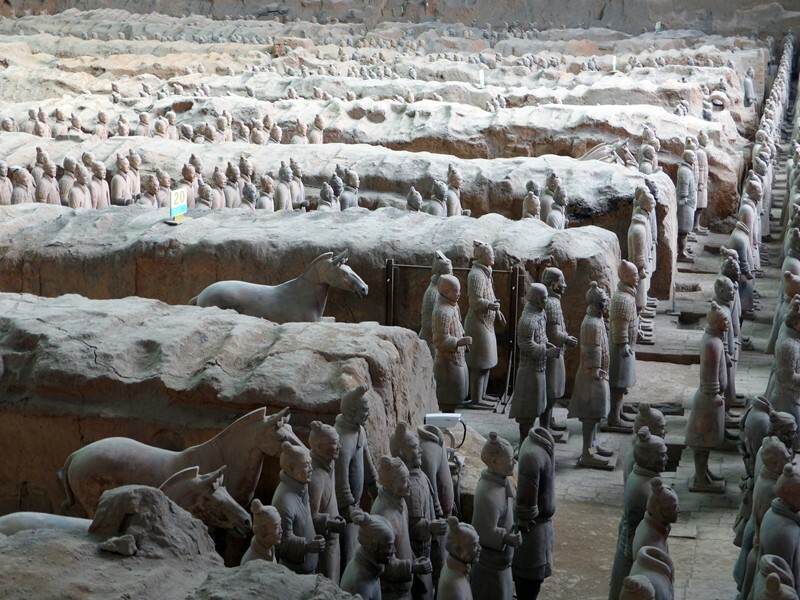 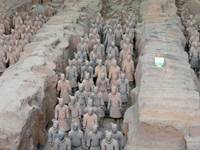 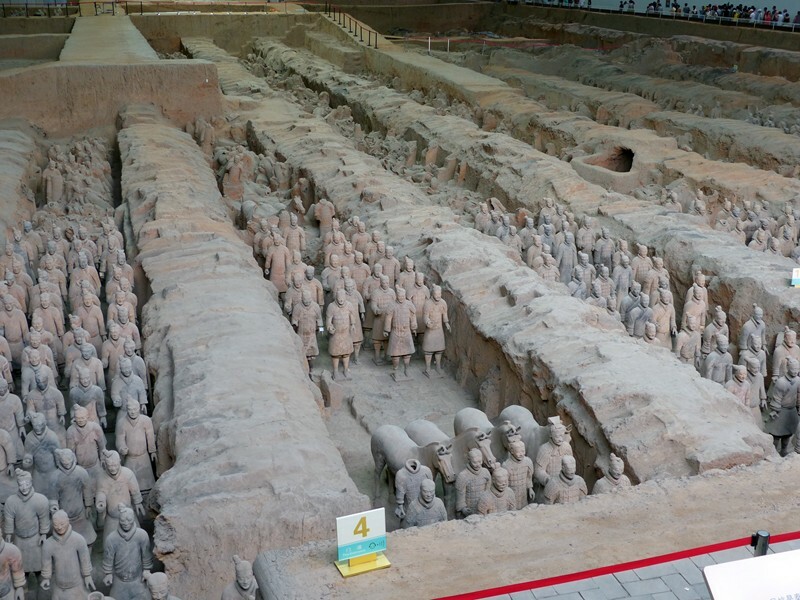 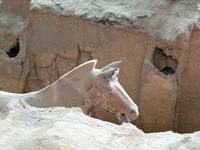 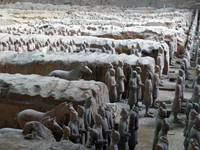 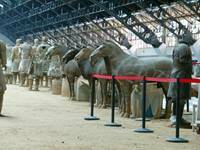 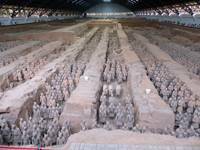 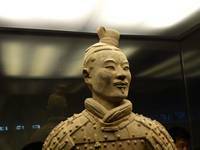 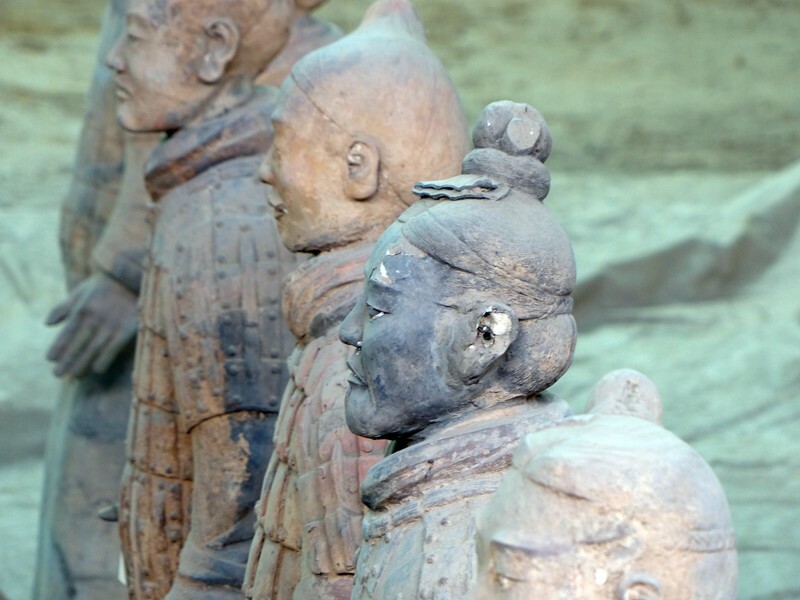 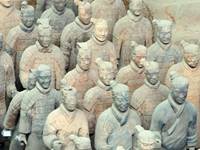 Apparently soon after the Emperor Qin Shi Huang died, the tombs were broken into and the terracotta armies were destroyed. 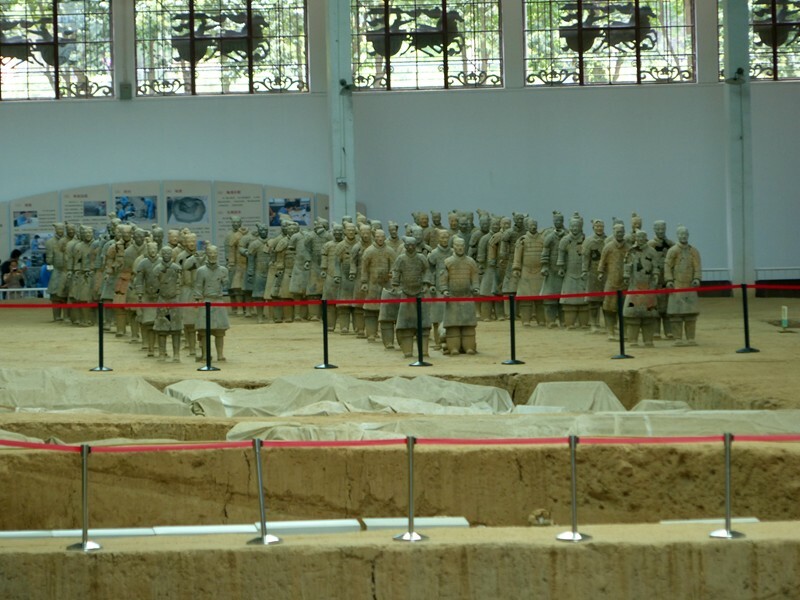 The various tombs with the soldiers were set up to have the same structure as a real army. 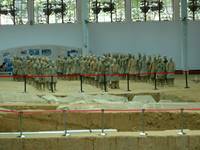 Pit 2 has the command and general officers. 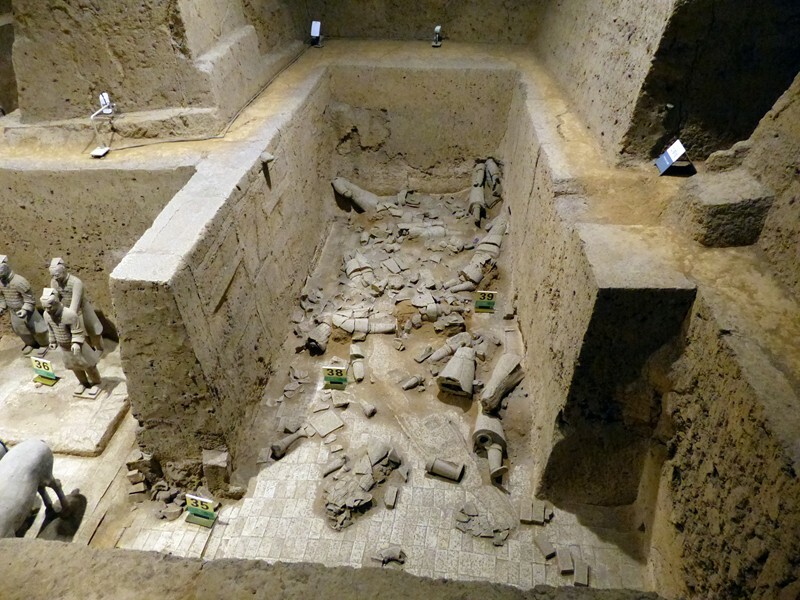 Pit 3 is still in the early stages of recovery. 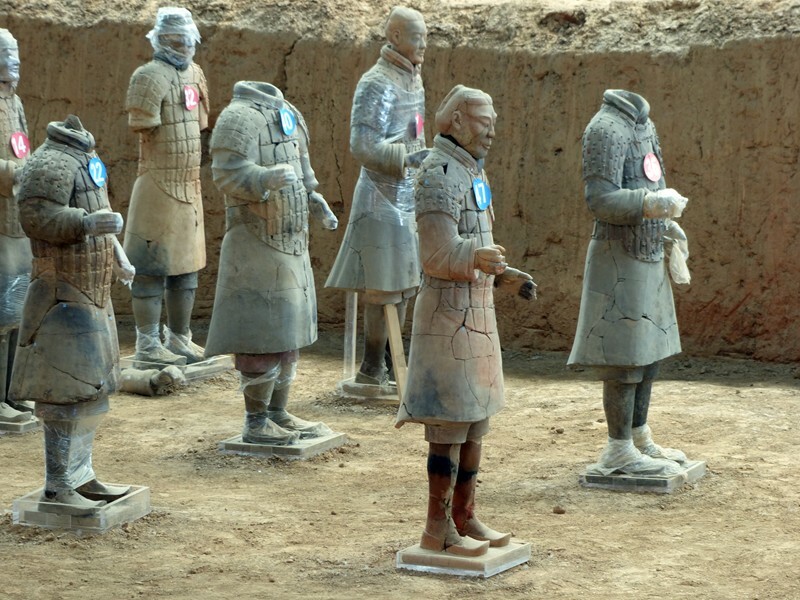 They also have the one soldier who was found in tact in pit 1. 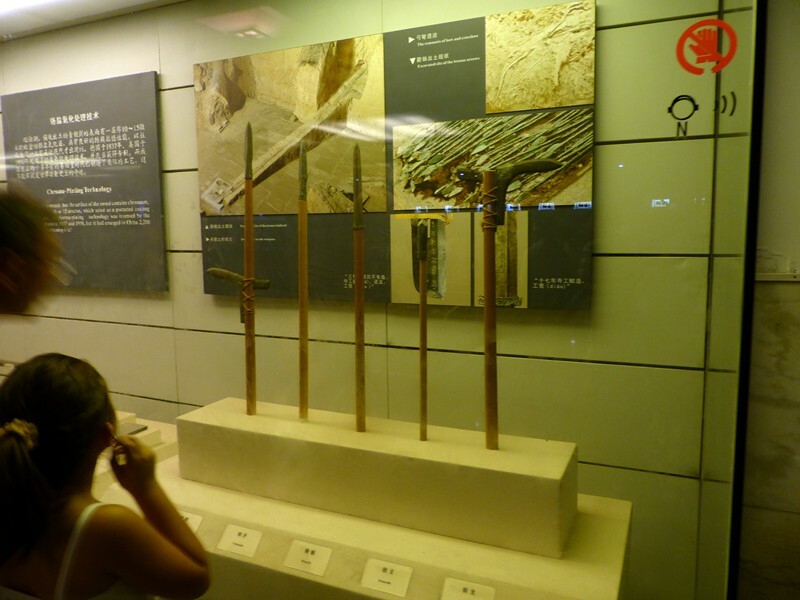 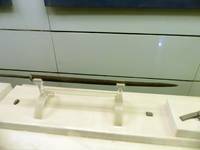 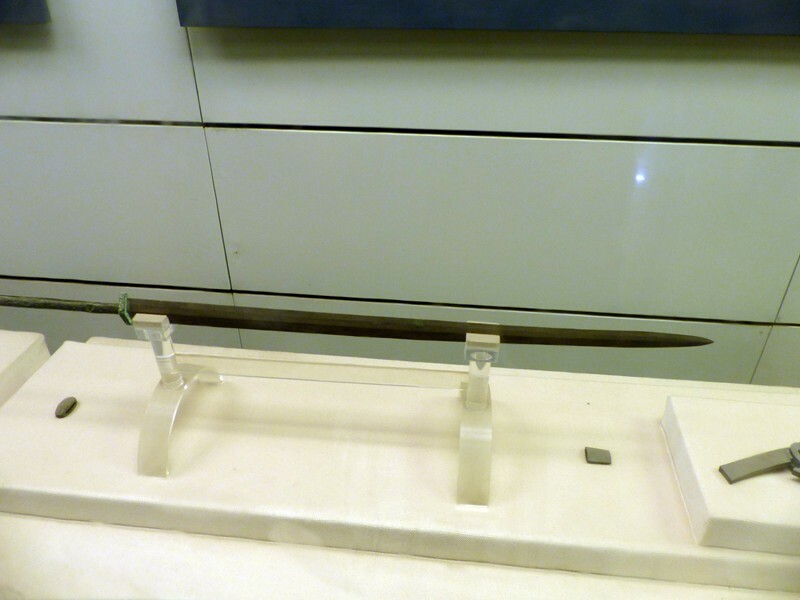 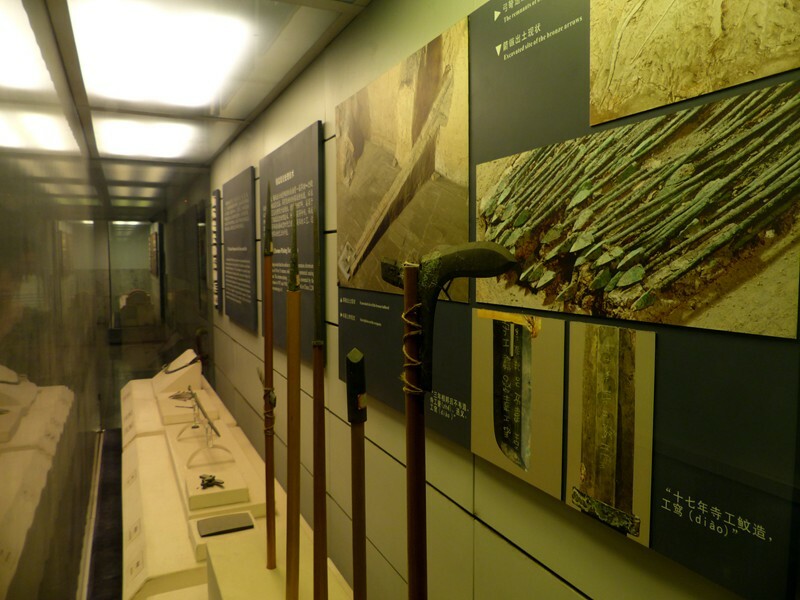 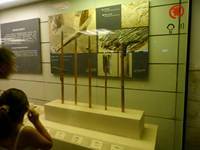 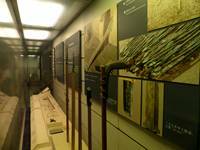 Also on display are weapons that were found with the soldiers, a general and a calvary soldier with his horse. 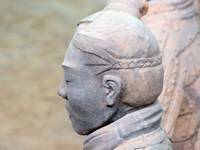 The detail close up is amazing.